We are delighted to have Torolf Torgersen and Evelyn Roehl as our keynote speakers for this Spring seminar. Get your application in early as this seminar will fill up quickly. Skagit county has a rich heritage of Scandinavian pioneers who help settle the region. Torolf is the son of Norwegian immigrants who settled in New York. He is well versed in Viking history, culture and naming patterns. Evelyn will be discussing Swedish immigrant settlement and records in America. She also will talk about emigrations records, digitized parish registers and Swedish household examination books. 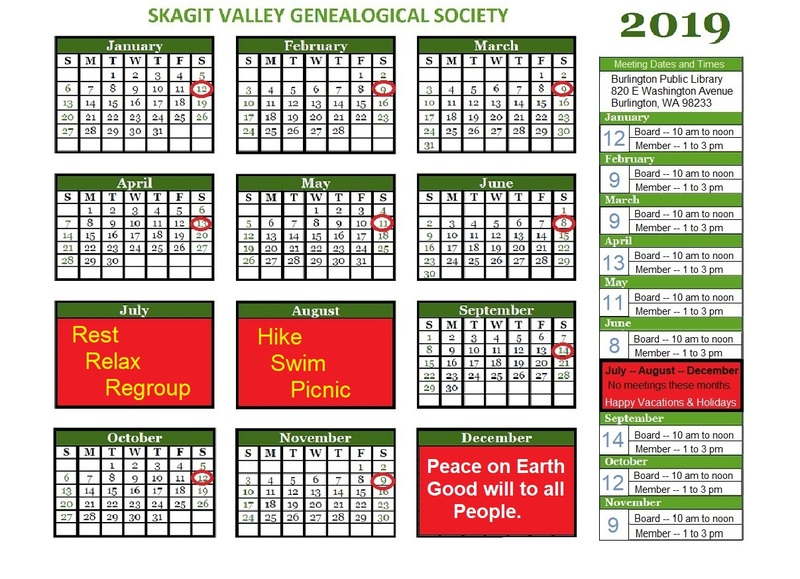 As of today we have removed the ability to register online for our 14th Genealogy Seminar coming this Saturday on March 23rd, 2019 at the First United Methodist Church, 1607 E. Division Street, Mount Vernon, WA. Click on this LINK to view and print out an application and a program schedule. Then bring the application to the Church this Saturday or you can fill out an application at the door. Checks are to be made out to SVGS. Be sure to make your own lunch arrangements. We hope to see you at the seminar.